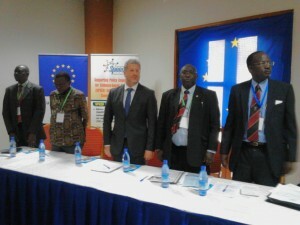 EU representative (center) with SPEED stakeholders at the opening of the National Symposium. In Uganda while more recent data on people who suffer each year because they cannot obtain the health services they need remains scanty, about a fifth (20%) of Ugandan households incurred catastrophic health expenditures in 2009/10. According to the World Health Organisation (WHO) fact sheet on Universal Health Coverage, it is estimated that globally at least a billion people cannot obtain health services they need. Over 150 million people are subjected to financial catastrophe annually, and 100 million of them are pushed below the poverty lines as a result of paying for the health services they receive. Out-of-pocket payment is the most inequitable way of paying for healthcare. In Uganda this prevents people from accessing lifesaving treatment and pushes millions into poverty each year. “Even tiny out-of-pocket charges can drastically reduce poor people’s use of needed services;” Jim Yong Kim-President of the World Bank. He said this is both unjust and unnecessary. Panel of experts convened to discuss the current and past epidemics and their management in Uganda at the SPEED National symposium. WHO defines Universal Health Coverage (UHC) as the process of ensuring that all people have access to needed promotive, preventive, curative and rehabilitative health services, of sufficient quality to be effective, while ensuring that people do not suffer financial hardship in the process. This means that for Uganda to make progress on UHC, the provision of health services need to be free at the point-of-consumption and the service packages are developed to address both prevention and curative care needs of the population. This calls on the government to device mechanism for delivering more effective services to all members of the population in a way that protects them from poverty arising from accessing and utilizing health services. Building resilient health systems that are able to support and sustain the efforts of all stakeholders and role bearers to offer programmes that cover the majority of the population in need of services for the long term. The achievement of UHC also requires recognition of the critical roles played by all sectors including the communities, private sector and different government ministries/sectors in assuring human health and making efforts to effectively improve health of the nation. To be successful, these multi-sectoral actions require nurturing to generate 1) a shared UHC vision, 2) Collaborative engagements and 3) mutual support and accountability systems. Achieving UHC for Uganda and any country is a journey that requires progressive and sustained efforts. 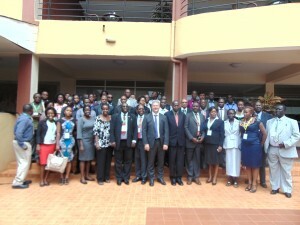 Uganda needs to map out a path that will allow it to move towards UHC. On this path consumers that are suffering heavy burden of ill-health are put ahead of the queue in terms of policy and implementation arrangements. It is also essential for government to provide adequate resources to programmes (funds, human etc) to progressively expand coverage and service quality from the current status to universal coverage within acceptable time frame. Upon this background, the SPEED Project was conceived to support policy analyses and engagements for evidence-based decisions that advance UHC in Uganda. 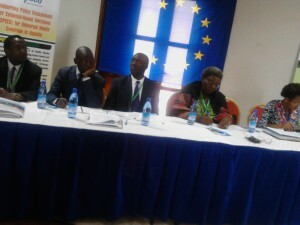 SPEED is a partnership supported by the European Union (EU) to improve policy analysis and policy influence at Makerere University School of Public Health. The total action is 3.9m Euros with EU contributing about 3.2 m Euros and the partners raising about 0.8 m Euros. This initiative will broadly be addressing Universal Heath Coverage and systems resilience in Uganda institutions that are specialized in health policy and systems research, economic analyses, social science research, national planning, and advocacy for health rights. The contribution of this partnership will range from engaging decision markers in fora that enhance shared learning, shared vision of UHC goals, and collaborative decision making. 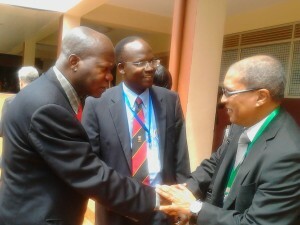 Makerere University School of Public Health will be the primary beneficiary along with government ministries and departments ranging from the Parliament of the Republic of Uganda, Ministry of Health, Ministry of Finance, Ministry of Local Government, Ministry of Gender, Labour and Social Development, Development partners, Civil Society Organizations, Media and academia. To engage and influence policy makers with contextually adapted evidence for health policy and systems changes to advance UHC. To support policy makers to monitor the implementation of vital programs for the realization of policy goals for Universal Health Coverage. 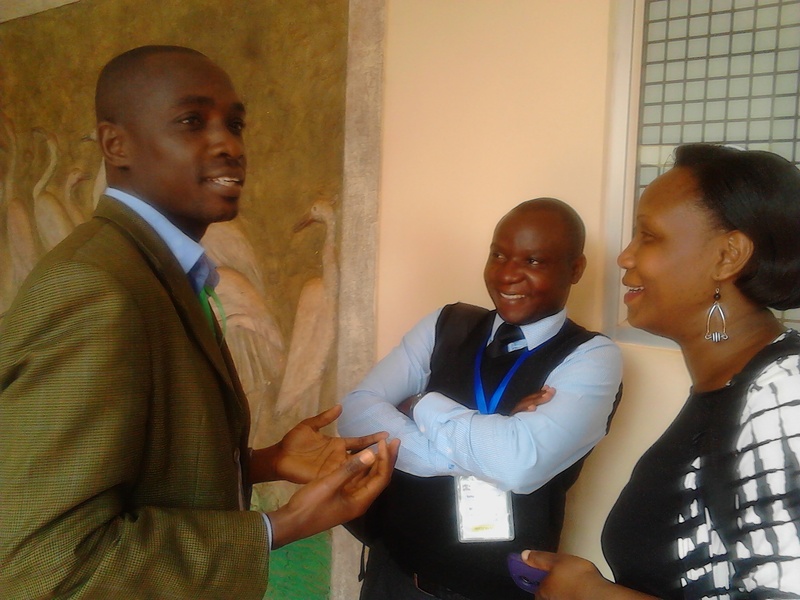 MakSPH and partners held a National symposium from 26-28 August 2015 at Silversprings Hotel Bugolobi that brought together all stakeholders in Uganda including: Academia, government, civil society, media and Development partners under the theme: “Towards Universal Health Coverage in Uganda: Building on Successes and Ensuring Health systems resilience.” The participants at the symposium, made an appraisal of Uganda’s progression from Primary Health Care and MDGs, shared lessons learned and future strategies for UHC. Panels discussed 1) social determinants of health and UHC and proposed ways Uganda can achieve multi-sectoral approaches to UHC, 2) reflecting on current and past epidemics and their management. Presentations were made on service delivery- lessons to inform UHC in Uganda, information systems and technologies for UHC, issues in medical supplies and drugs, the contribution of private sector players to health sector development in Uganda. Sessions were held to address UHC Resilient health systems and emerging global health threats/epidermic, discuss Financing, Governance, Human Resource for health. Participants taking a group photo at the opening ceremony of the SPEED National Symposium .